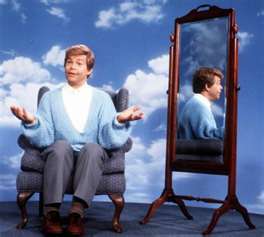 I’m not sure how many of you remember the Saturday Night Live skits with Stuart Smalley. His tag line was “I’m good enough. I’m smart enough. And doggone it, people like me.” A somewhat insipid character in a blue cardigan and bad toupee routinely talking to himself in a mirror. Somehow in retrospect it doesn’t sound very funny, but it became part of our social lexicon for a while. When I was in grad school learning the ins and outs of various therapeutic interventions, I had the pleasure of meeting Dr. David Burns – one of the pre-eminent practitioners of cognitive therapy. Although his lecture listed towards the yawning, he was a delightful person to speak with one-on-one. I was nervous; he was not. My tendency in these situations is to be as self-deprecating as possible – far better that I expose my multiple flaws before anyone else does. And as I was tripping over my tongue with phenomenally irrelevant bits of personal data, I stopped and said, “I guess you’d suggest I change the tape in my head, huh?” At which point he laughed and nodded and moved on to less neurotic company. Our ability to self-criticize is legendary. People have written about it for years. Woody Allen made his fortune exposing various elements of his imperfect self-perceptions to his audiences. We can repeat certain tapes in our heads throughout our lives – never considering their veracity, shelf life or relevance. I can hear certain voices in my head (relax, I’m not talking delusional here) that have asserted themselves on my self-image ever since I was a kid. They still carry weight and define how I perceive myself. I know on some level that it’s fiction. I know it isn’t healthy. And on some level I know I have to change the tape. It hasn’t done me any good since I hit the ‘play’ button. I mean come on, tapes are obsolete – what the hell am I doing with a cassette recorder in my head!! There’s an element of ‘fake-it-til-you-make-it’ to cognitive therapy. Changing the message that you have reacted to for years, replacing it with one that is more accurate, timely and of your own design sounds relatively benign. The hard work comes into play as you exercise your mind (that sounded a little like Timothy Leary, didn’t it?) – recognizing what thoughts promote feelings of insecurity and negative self-worth – and having the wherewithal to change them. 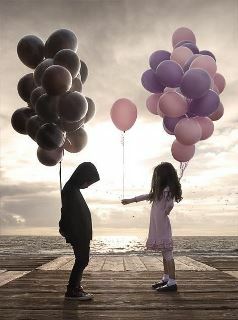 The theory is that we react emotionally to what we think, not vice versa. You have to get into the habit of telling yourself the truth – and see how your heart responds to that reality. This isn’t a paean to cognitive therapy, Dr. David Burns or Stuart Smalley. It is a paean to you – for chances are good that some of what you react to through the course of a typical day has little to do with the moment itself and everything to do with some antiquated message that is integrated into your thought patterns. You are smart enough and good enough and I’m pretty damn confident that people like you. What are you going to do to like yourself? Posted on May 30, 2012 by mimijk •	This entry was posted in anxiety, friendship, inspiration, life lessons, mindfulness and tagged Cognitive therapy, Mental Health, Stuart Smalley. Bookmark the permalink. NOW you’ve done it! My brain hurts trying to figure out what tapes I keep playing to myself. Now I fear I’ll have a new tape that’s going to play in my head for the days & weeks to come (or for as long as I can remember this insightful and thought provoking post – thank God for getting old and for not being to stay on thought for too long before forgetting:). To challenge our self assessments and look through them is truly a daunting task, but thank you for adding to my To Do list today. I needed that. Mimi, Great post. Recognizing the tapes that have been ingrained is important so that we can begin to challenge and change them. The picture to accompany your article speaks volumes; it is a perfect illustration of your message. Thanks Kristin..I think this is an exercise that we need to continue all of our lives. Our tendency is to re-visit all that we have been told far more often than we consider what other messages we might consider which have more merit. So glad you liked the post! Mimi, at a recent Weight Watchers meeting we were given a can of A.N.T. Spray…a reminder that we must look for and eliminate ANTs…Another Negative Thought–about ourselves. The Pink Panther theme plays to:”Dead ant. Dead ant. Dead…” This elder brain needs ALL the reminders it can get. Thank you for yours–it was gentle and kind and already worked to keep me from typing several negative words in my post! Now I have the Pink Panther theme running in my head…dead ant dead ant dead ant…very funny! And knowing you, there were probably not that many negative words ready to be penned by you!! Wow, once again you’ve nailed it, Mimi! It is so easy to bombard oneself with negative messages, and I’ve certainly been guilty of the “expose my flaws before anyone else has a chance” behavior. I’ve been lucky enough to find a couple of books that have been very helpful in ‘tackling the old tapes’: “Finding Your Own North Star: Claiming the Life You Were Meant to Live,” by Martha Beck and, for those women who are their own worst enemies, “Overcoming Underearning” by Barbara Stanny. Thank you *so much* for always being an advocate of the position that we *can* change those pesky patterns that keep us down…. I love this post, Mimi. And I could not agree more. We are each responsible for our mental well-being. I just last night composed a mental mantra for self-love and acceptance. Your timing is uncanny. It is like anything else: a practice. I don’t always get it right and sometimes I get it terribly wrong. But I’ll be darned if I’m not going to try! 🙂 Absolutely…I’m going to follow your lead! Most days self loathing is not an issue for me, but every now and then some doubts enter my mind. When they do, I will surely remember your words. That makes me happy – I couldn’t abide the thought of you spending one minute on self-loathing! A very nice post indeed! I did the EST training years ago, then The Forum and a multitude of other self-help seminars that all concur with your post. I really believe that if CHILDREN grew up with this information, they’d have a lot less ‘undoing’ to do . . . the motivation behind my children’s series. Great post Mimi. I have same issue although I had a good friend that hammered me each time I did it. So, I consider myself an enhanced version of me today. In a business context, he stated that people will begin to believe that you really aren’t good enough. “Why mark down your accomplishments.” “Just say thank you when someone is telling you that this was good work.” “Don’t say it was nothing.” “Don’t devalue yourself.” “And, besides you get really annoying when you repeat your self-deprecating comments and you are wasting my time.” Thanks for sharing Mimi. This one hit home. I still struggle with this – and I was a therapist! Proves that shrinks can be the most neurotic of all… 🙂 I’m glad you had a friend who wouldn’t let you off the hook..